Who is James Marvin Phelps? I love to spend time outdoors hiking and capturing images of some of the wonderful sites I’ve been lucky enough to visit. Landscape and wildlife photography are my main subjects, although I enjoy shooting a wide range of photographic subjects. I currently reside in the state of Nevada but grew up in Michigan. I love to capture the natural sites and wildlife of both great states and surrounding areas, especially Michigan’s Upper Peninsula which features waterfalls, sandstone cliffs and vast areas of wilderness. The dramatic power of Lake Superior is awe-inspiring. 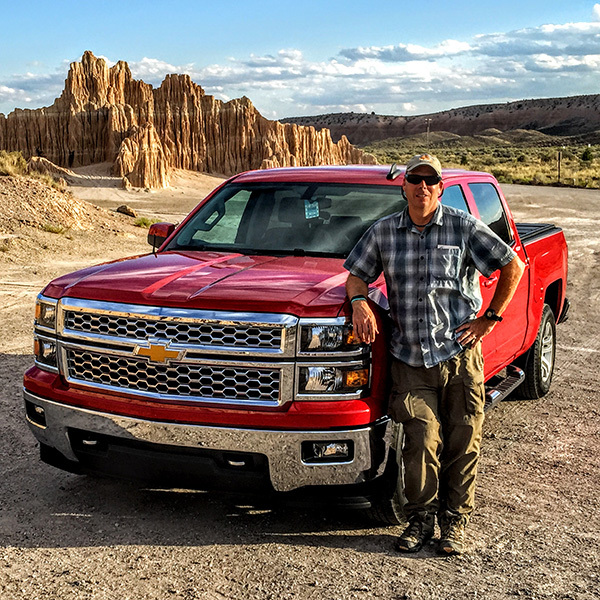 I also love to capture the beautiful scenery of the Desert Southwest, from the red rocks and unique formations to the numerous canyons, the fiery southwestern sunsets, and amazing wildlife in the Mojave Desert. Photography has always been a part of my life starting out with small Kodak Instamatic cameras as a kid and working my way up to my current DSLR Canon gear. The internet really got things rolling for me as far as exposure, and I’ve been lucky enough to sell images via various outlets. 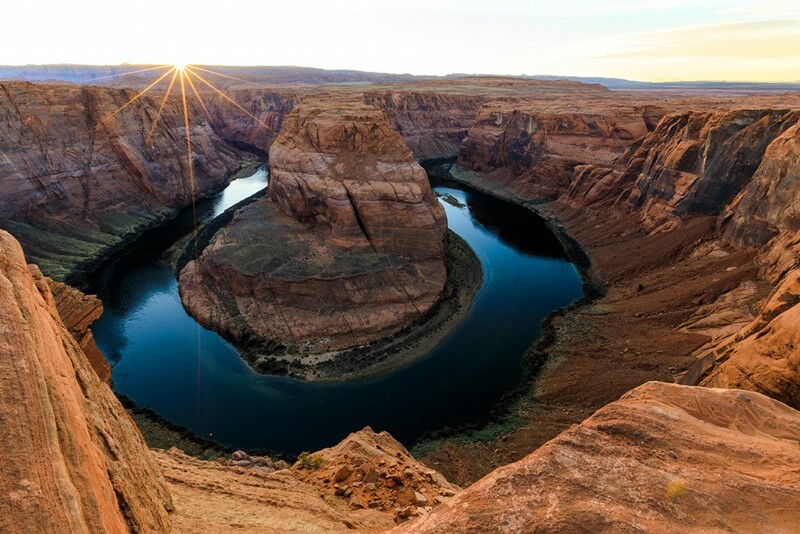 This is a photo of the beautiful Horseshoe Bend in Glen Canyon NRA, Arizona.The goal was to hopefully get beautiful sunset colors with the clouds that were around most of the day. But about an hour before sunset, the skies cleared and the goal became a “Star Burst” photo as the sunset below the Vermilion Cliffs. While camping in Death Valley National Park this winter we had the opportunity to visit the Keane Wonder Mine. I just loved all the little remnants of the men who worked in this harsh environment over 100 years ago. 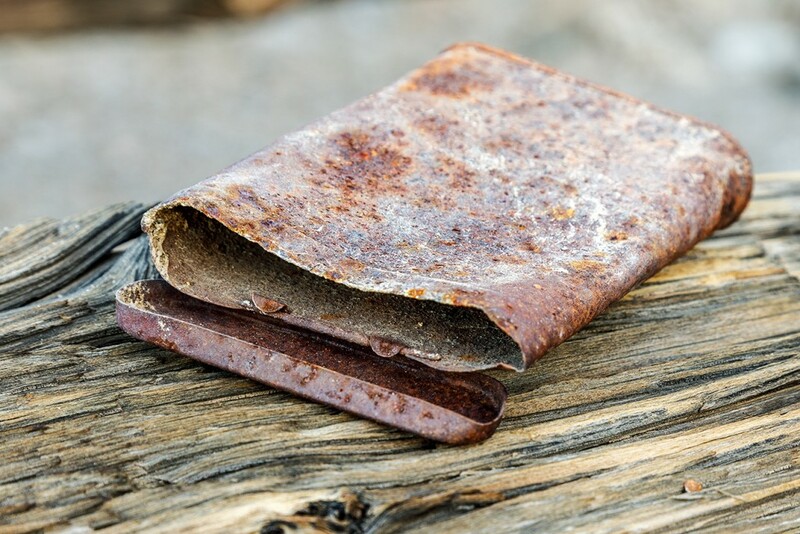 The little tobacco tin caught my eye, wondering who the last person was to use this item all those years ago! This was taken on January 1st 2018 and what a site! 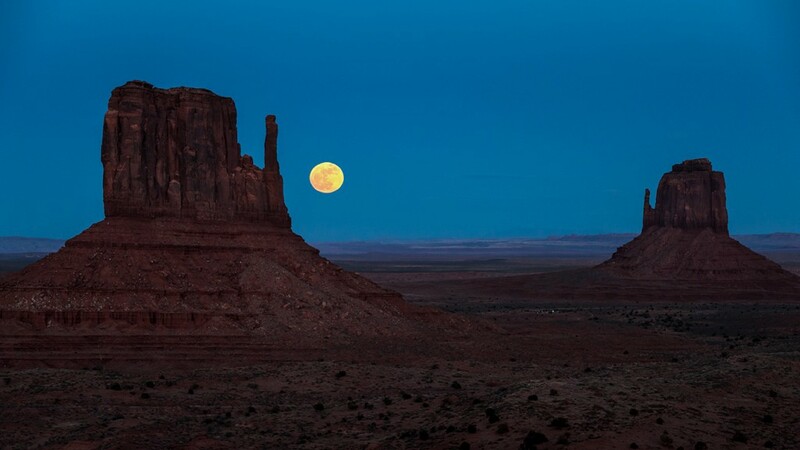 The full Wolf and Super Moon raising up and between the Mittens at Monument Valley Tribal Park on the Arizona/Utah border. It is hard to put into words what a beautiful and special site this was to witness and be lucky enough to capture! 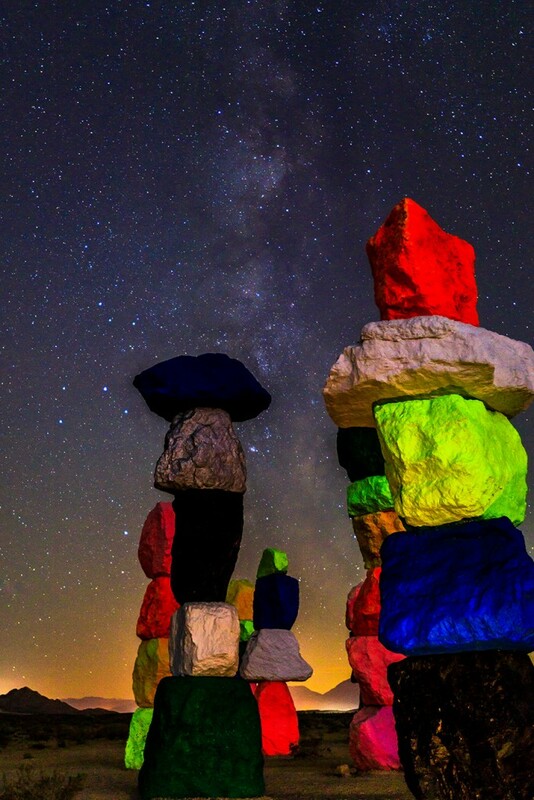 This is a photo of the Milky Way galaxy over the Mojave Desert and man-made art of Swiss artist Ugo Rondinone’s “Seven Magic Mountains” about twenty miles south of Las Vegas, Nevada. The glow in the lower part of the photo is the traffic lights from the Interstate 15 that connects Las Vegas to Los Angeles, California. I waited all summer and into the early autumn for the Milky Way to be in position for this capture. 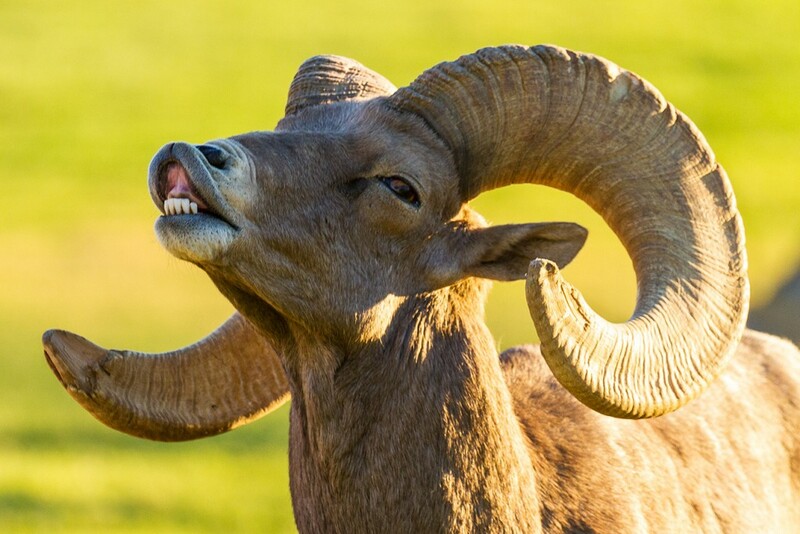 This desert Big Horn Sheep Ram was captured during mating season in Boulder City, Nevada. The males (Rams) go around trying to impress the females of the herd that they are the biggest and best potential mates. The behavior is fun to watch and the facial expressions of the males can be fun to photograph. As a photographer, get out there and shoot. Try to maximize your time behind the lens and minimize your time at the computer. The more you get out and shoot, the more opportunities you’ll give yourself to get that once in a lifetime capture. I missed it! I have the best one.. Is it too late to join?